Walt Disney World has been billed as the most magical place on Earth. So where better to share a date with someone special, whether you’ve been together for years or you’re just getting to know each other? Though you may not realize it, Disney World can be an amazing place to take a date. For an experience with fewer children and more adult activities a perfect place to take a date at Disney World is the Mexico pavilion at Epcot Center. You’ll find that the pavilion holds an art gallery where, not only can you admire the original works of local artists you can also purchase a print from the gallery to take home. A little bit further in you will make your way through a temple and out to a village square that is beautifully lit up at night. Some of the highlights of this experience include a sparkling fountain and the distant sound of mariachi music. You can also shop with the merchants and purchase jewelry for yourself or your date. Towards the other end of the Mexico pavilion you will come across the San Angel Inn, which is a traditional Mexican restaurant with sit down table service. There are even tables that look directly out over the water, setting the mood for a romantic dinner. If you’re coming from out of town and looking for a romantic hotel to stay in with your date, a popular choice is the Grand Floridian Resort and Spa. With some pre-arrangements you can set up a romantic dinner date for two. When the weather is conducive to doing so, you will have the option of enjoying dinner on the balcony located on the third floor. If the weather, or your preferences, keeps you indoors you can have a private dining experience on the fifth floor, next to a floor to ceiling window that offers a breathtaking view of the resort. Though this is a pricy option, it allows you to work with a resort chef to create your own personalized dinner for two. For some extra cash you can even receive service from your own personal butler for a two hour period of time. This is one of the best ways to enjoy an alcoholic beverage with your dinner at Disney World. No matter where you choose to take a date, Disney Word offers plenty of options for couples and potential couples of all ages. If you are just getting to know each other, a Disney World date can be an eye opener. You’ll learn a little about your date’s food and entertainment preferences as well as what makes them recapture that happy, care free feeling we all associate with our childhood years. 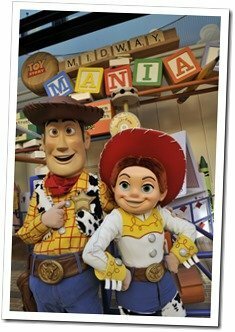 With so many attractions to see and so many activities to participate in, Disney World makes spending time with someone special that much more fun. In the event your Disney World date goes well, you may eventually even marry at this world famous theme park.